I'm finding it remarkable lately that for all the massive crimes the far right has perpetrated against our country in the last couple years, it's actually some of the smaller acts that seem to outrage me the most. The Trump budgets have been uniformly awful, the tax cut is a disaster we'll be coping with for generations. The war on immigrants is strikingly reminiscent of the Third Reich's early days. The environment is toast. And so on. But so far, the thing that has pissed the EGD off the most about this administration was...a coat. Until yesterday, that is. When your SCOTUS nominee refused to shake the hand of a parent who lost a child in a school shooting. The White House is now claiming that Kavanaugh would have shaken the man's hand, but "security intervened" before he could do so. Even if the WH had a single shred of credibility to begin with, that wouldn't hold water against this damning photo. 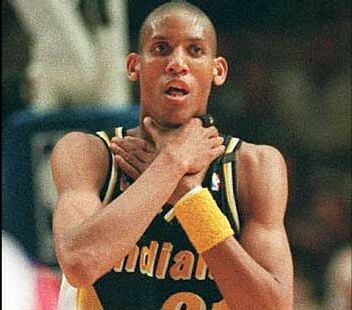 The image is almost too perfect, with the unknown man in the center background probably adjusting his tie--but close enough to making the old Reggie Miller "choke" gesture. If we had any confidence in the U.S. Senate to act with integrity, a massive choke is exactly what this would have been. SCOTUS nominations have gone down for far less. But that was in the past, at an interval in U.S history when fidelity to an extreme right political ideology wasn't the only thing that mattered. The Senate we have no really don't care. Do U?